KWLOT is excited to be a part of #12days4good campaign starting December 10, 2018 and hosted by Kindred Credit Union. First launched by House of Friendship, this social media campaign invites local communities to give back through simple good deeds for 12 consecutive days in December. 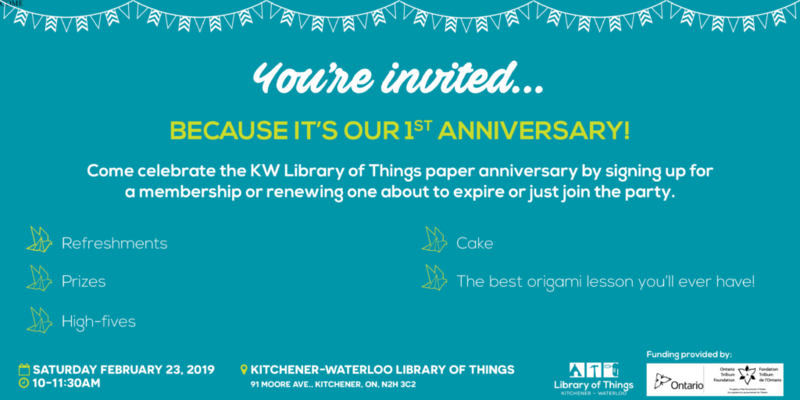 In the spirit of good deeds and do-it-yourself gifts, the Library of Things is excited to offer free, drop-in crafting. 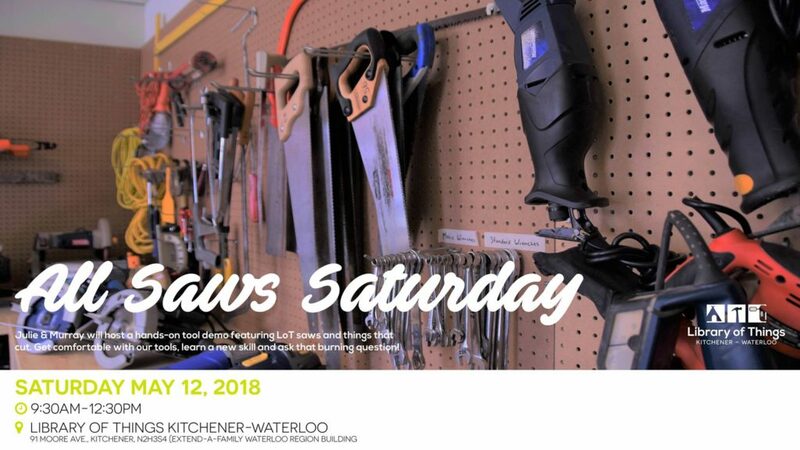 We welcome one and all on Saturday, Dec 15 from 11:30-1:00 to learn how to make your own prints and greeting cards – led by a KWLOT neighbour, Sarah Granskou. Sarah was the City of Kitchener 2016 Artist in Residence. We will use styrofoam and cross-sections of wood to make a personalized print card. Join us for a festive time of crafting, hot chocolate, treats and connection! 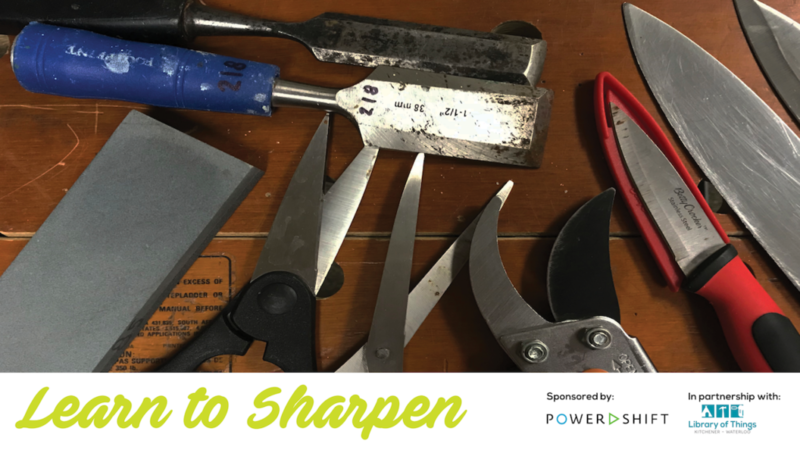 Learn the basic of sharpening for good, clean edges on your household scissors, garden pruners, kitchen knives and even chisels! Bring something dull from home so you can learn & practice! Let us know you're coming or share this event on Facebook. 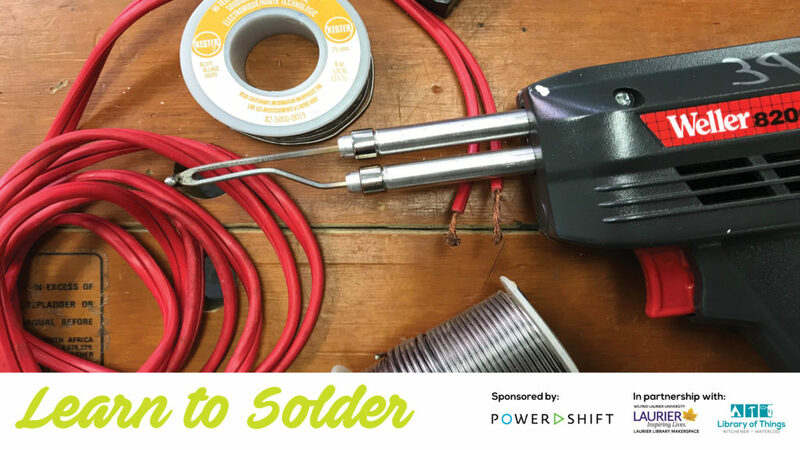 Learn the basics of soldering: some good technique for safe effective soldering and the variety of household items that can be fixed with a simple solder joint. We're partnering with Darin White and the Laurier Library Makerspace. Let us know you're coming or share this event on Facebook. Get familiar with our inventory and build your tool skills! 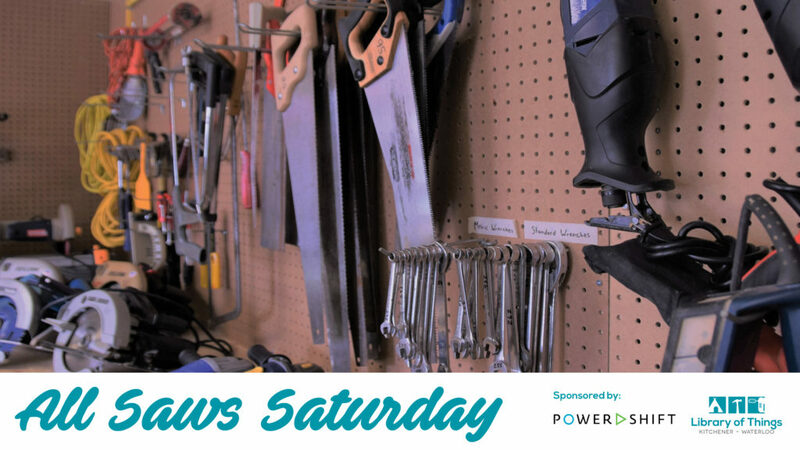 KWLOT volunteer Murray Zink will be here to help you learn tool safety so you can borrow and work with confidence. Let us know you're coming or share this event on Facebook.